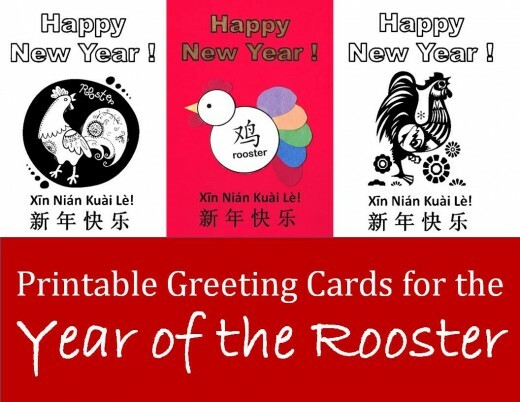 Here are a bunch of quick and easy Year of the Rooster greeting cards that you can print and color. 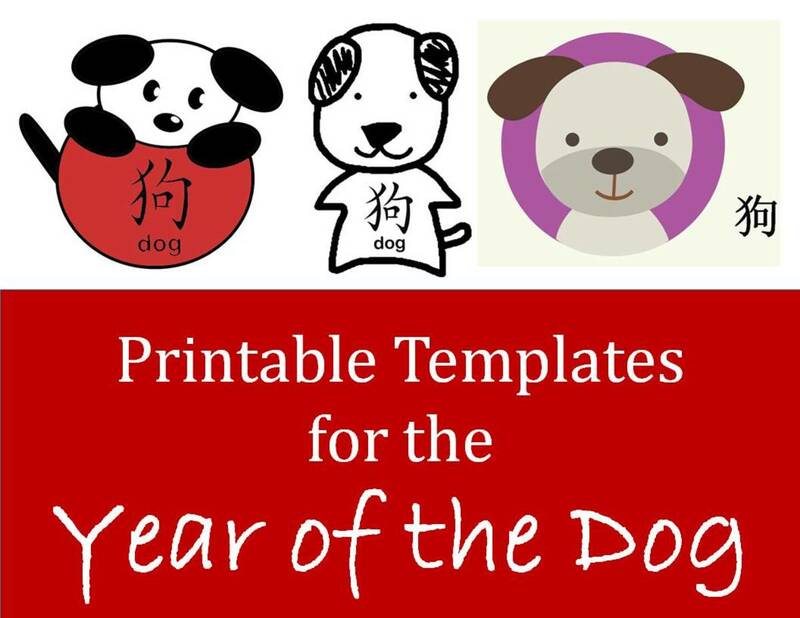 They are especially handy for teachers, parents, and librarians who work with preschoolers, kindergarteners, or elementary school children (though some of the designs are sophisticated enough for older folks). 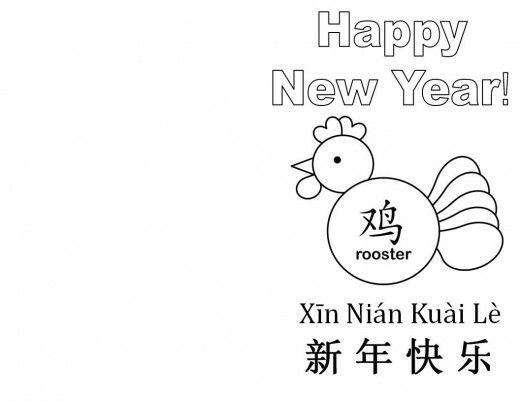 The shape roosters and hand-drawn roosters are my own designs; other makes use of artwork is under license from istock.com. You are free to print them for personal or classroom use. Commercial use is prohibited. 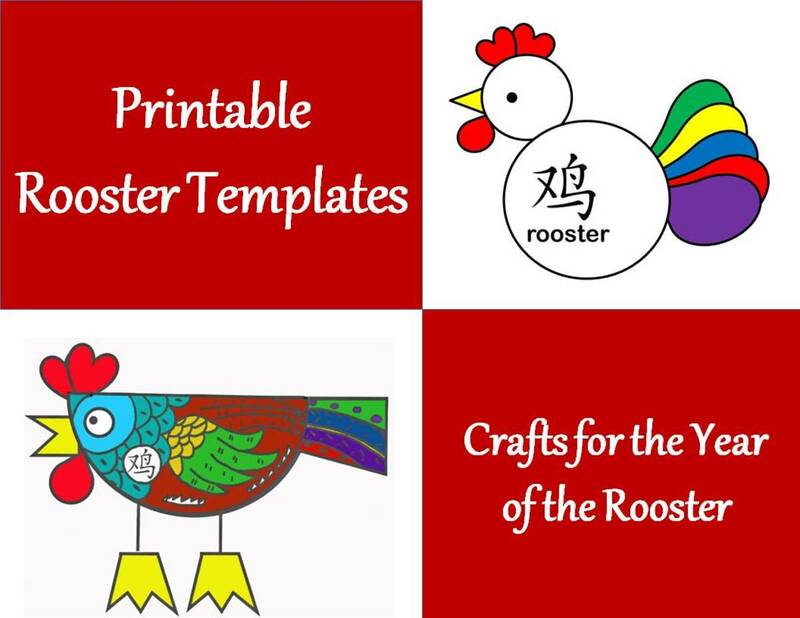 For some of the crafts here, you will need to print out rooster templates, which are the first link on this site. You can find links to other crafts projects here as well. The images are all loaded as photos (jpegs), which means you can right click on them to copy them, and then paste them into a program like Microsoft's Word or Publisher. Once you have pasted them into the program, you can enlarge or minimize the image the way you'd like. 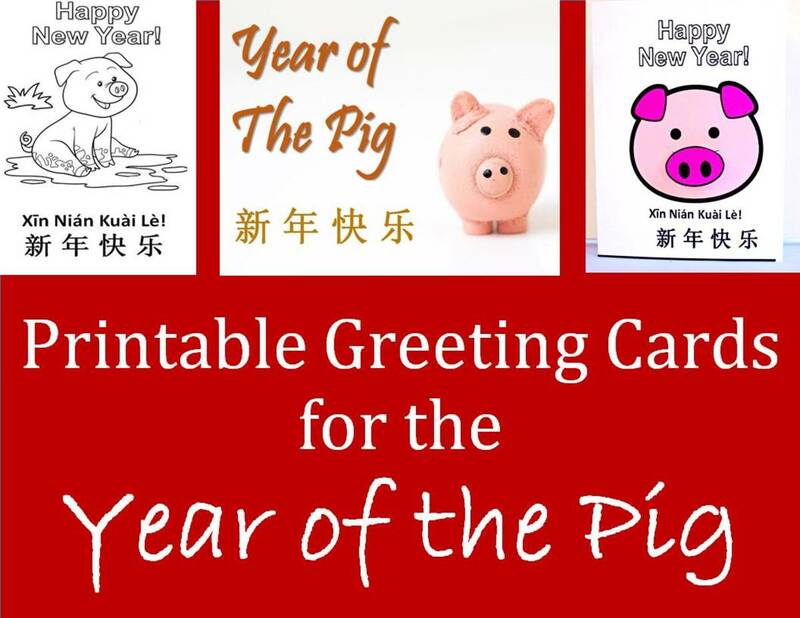 You'll notice that the greeting cards have big blank spaces on them. Those will be the part of the card that is folded over once you have printed it out. 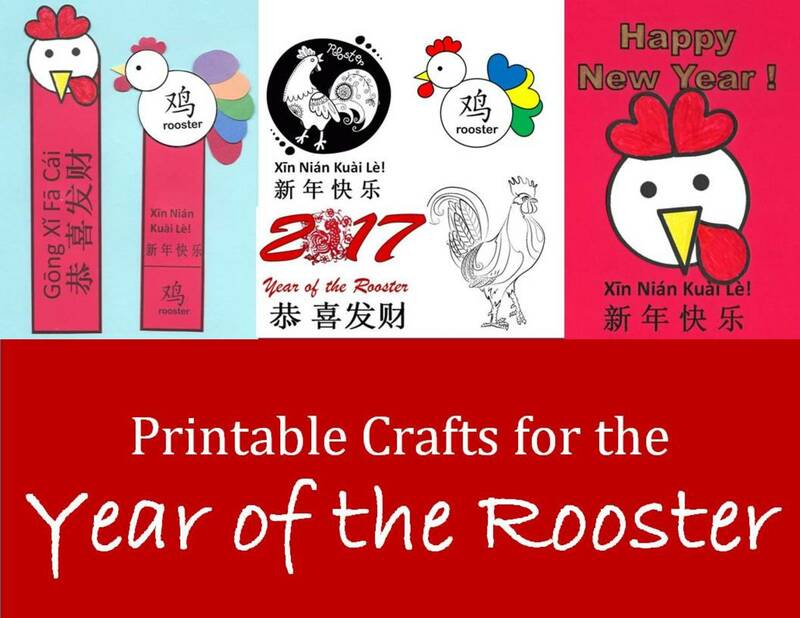 The links below will take you to the images used in these cards, as well as other Year of the Rooster crafts. 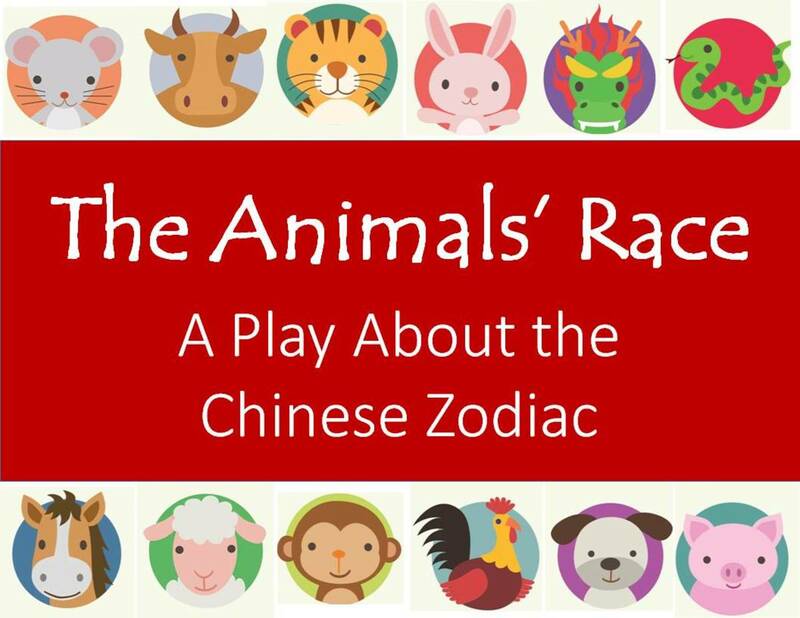 People in China often make the zodiac animals from silk and embellish them with embroidery. 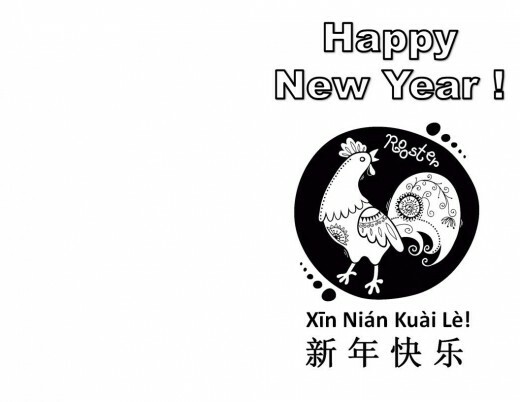 The designs on this rooster are reminiscent of Chinese embroidery. This card is designed to be 5.5 by 8 inches. Fold it in half to make your card. 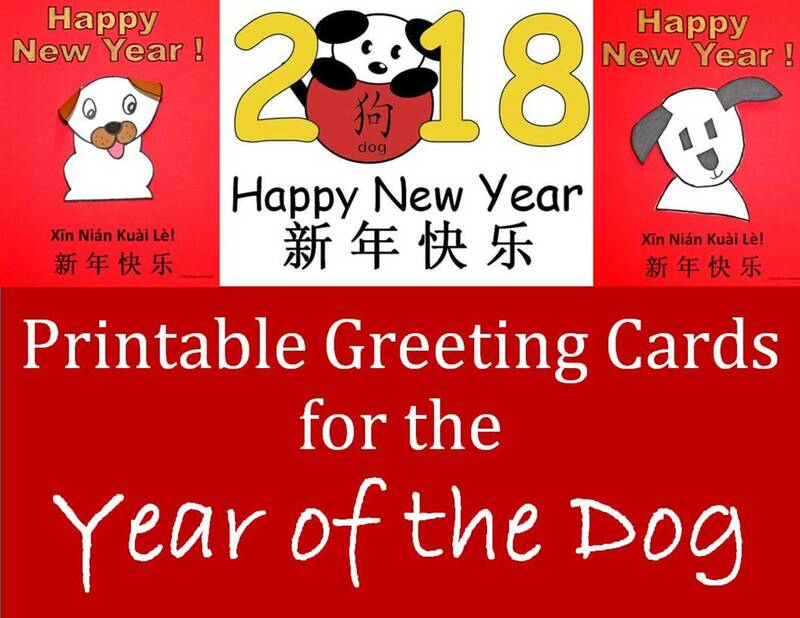 Each of these cards includes the Chinese characters that say "Happy New Year," along with the pinyin, which is a method of indicating the sounds of the words. 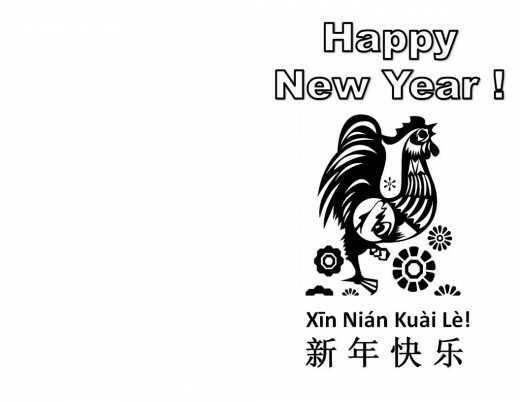 People in China have been making decorative paper-cut designs for centuries. Here is a traditional design. 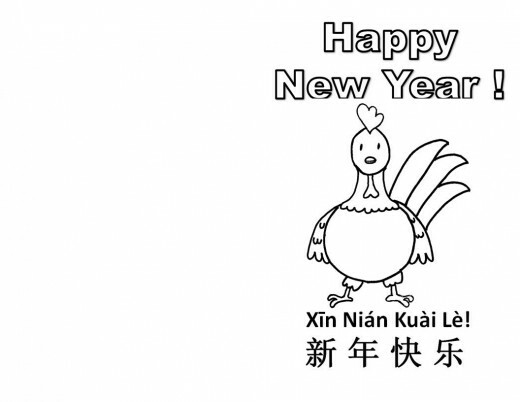 This is for the children who get a kick out of having a cartoon rooster card to print and color. 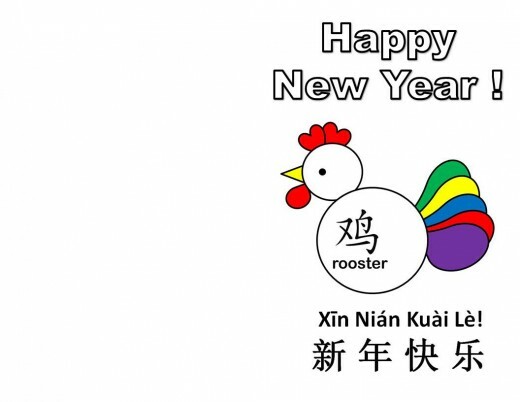 The Chinese characters say "rooster." If your tastes in artwork run more to the realistic, here is the perfect card for you. I looked up "how to draw a rooster" on the web and was able to follow some simple directions to make this little guy, who seemed sort of curious and whimsical to me. 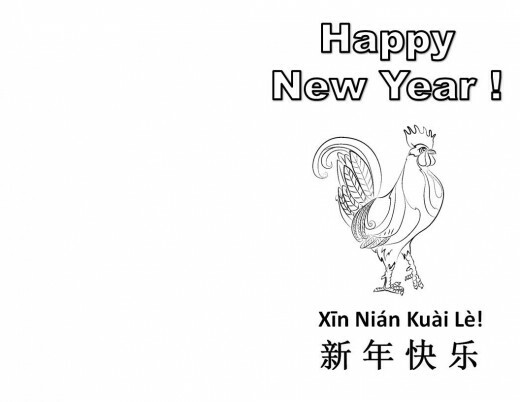 The next card is blank, so that you can draw your own rooster if you like. 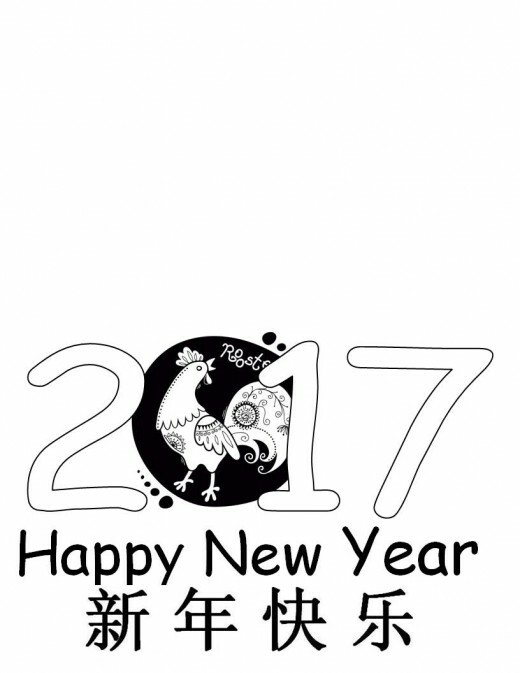 Here's a greeting card I made using a rooster I created from simple shapes. 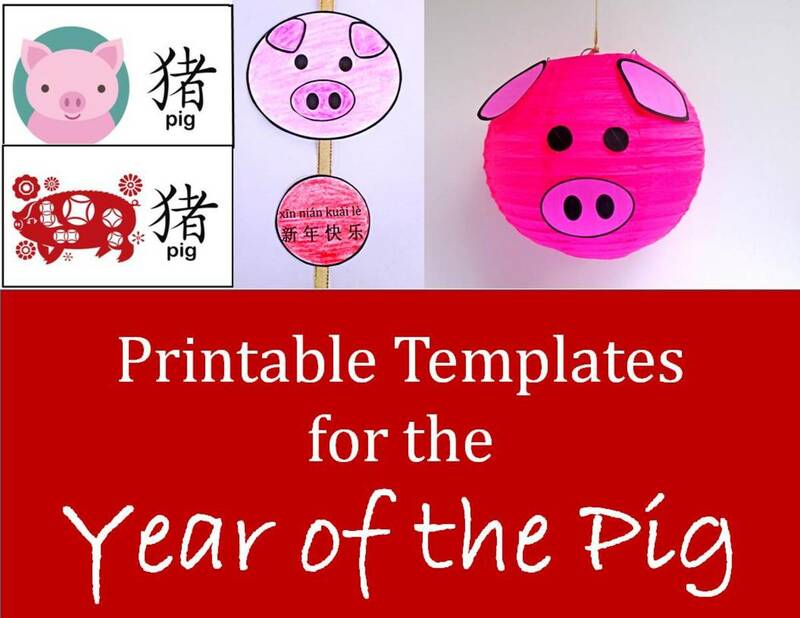 The first is one you can print out and color. The second is one that is already colored in for you. Here is another way to make a greeting card from these patterns. Print out the blank card from above onto red card stock. 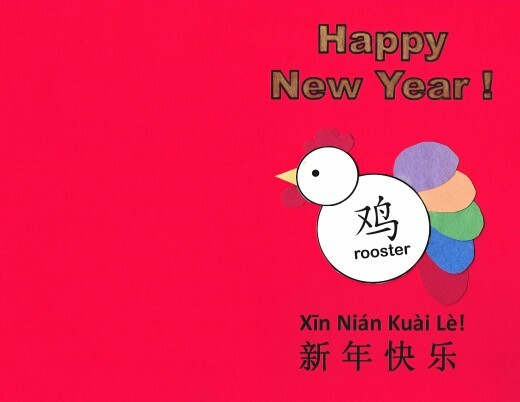 Then, cut out paper to make the shapes rooster. 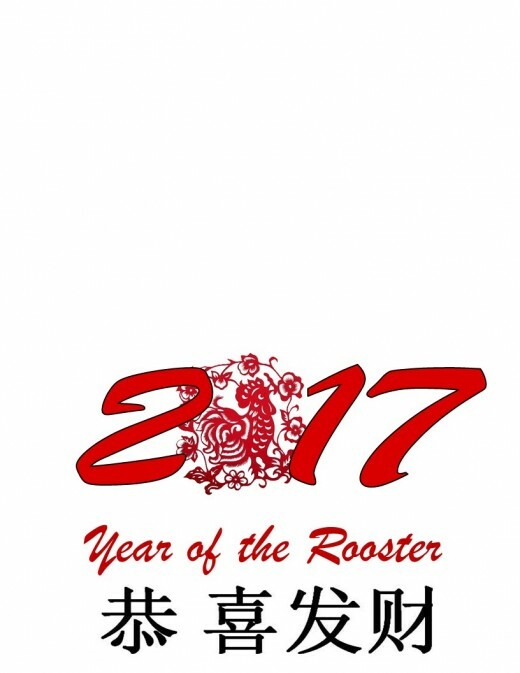 You can find the printable template for the rooster if you click the link at the very bottom of this site. 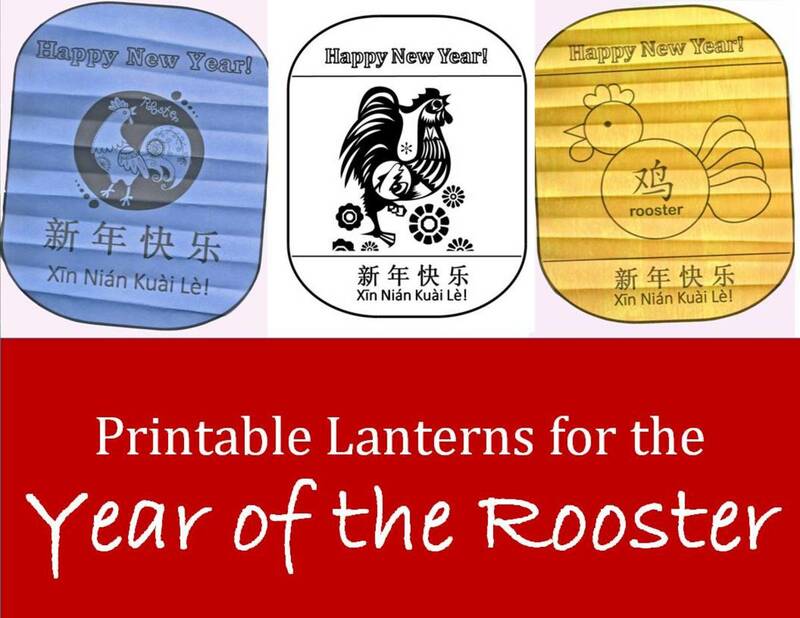 It will take you to patterns for a couple of different shape roosters. Here is another idea: Since 2017 has a "0" in it, you can fit in a oval sort of design to stand in for the zero. Remember that the top is blank because you are going to fold that part over to make your card. 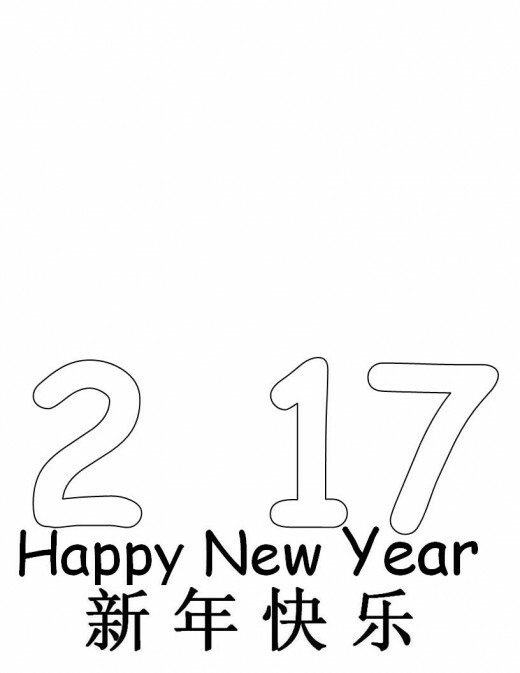 Remember, the blank space at the top is to fold over to make your card. 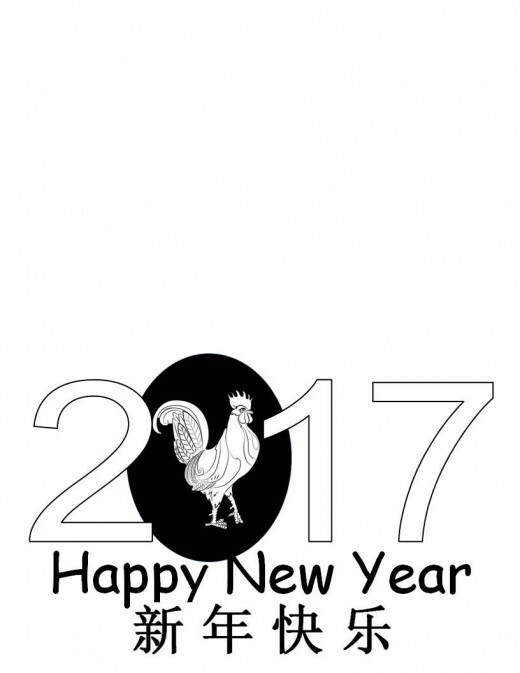 Here is the little shapes rooster inserted into 2017. Fold back the top to make your card. This card includes a blank space where the number "0" would be. See below for a suggestion on how to use this template to make a card. 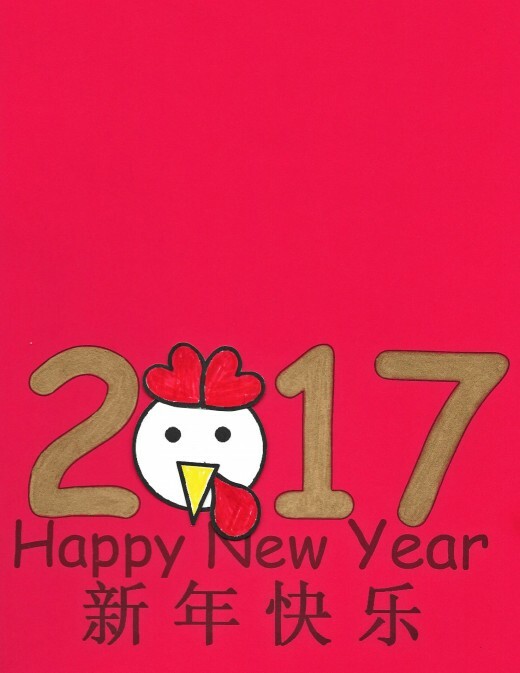 To make this card, I printed the blank template above onto red card stock. 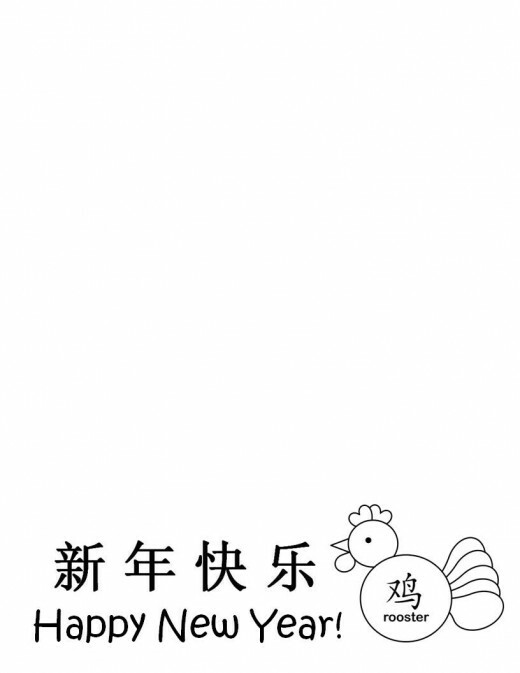 Then I printed the small rooster head template you can find through the link at the top of this site. Color, cut out, and place in the spot where the "0" would normally be. 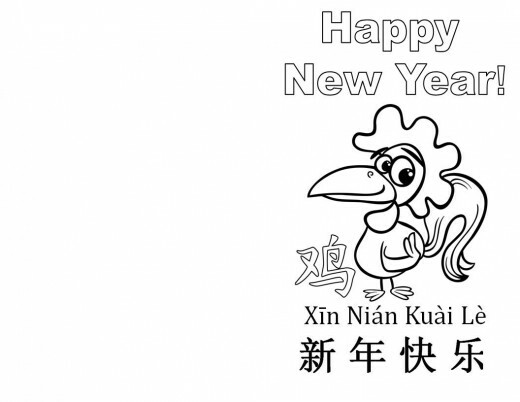 Here is a little different format for the card, still including a little shape rooster to print and color. The top is blank because that is the part you fold down to make the card. Here is another version of a wide card to print. 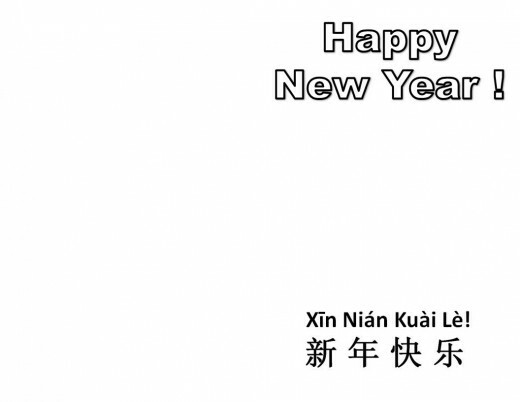 The characters on this card actually say "Kung Xi Fa Cai" which means "Prosperous New Year." 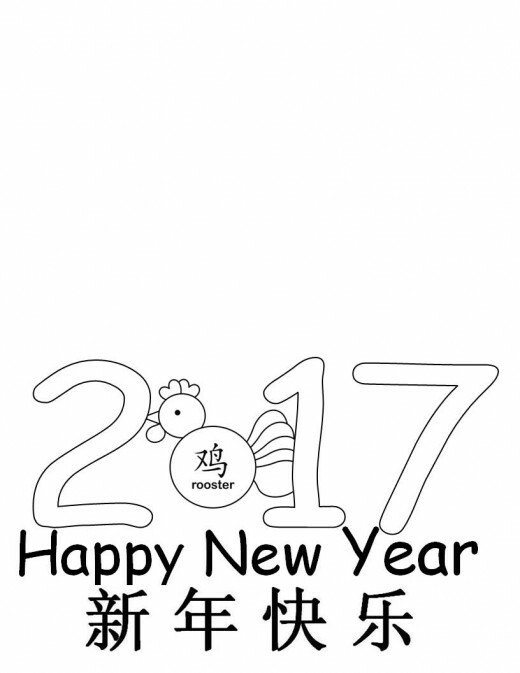 Contains easy, printable templates of coloring pages for Year of the Rooster for Chinese New Year units and celebrations. These sheets contain Chinese characters along with pinyin transliterations.